Synthetic Saddle made from durable material with new sure-grip seat and knee rolls. With removeable knee roll blocks. Size : Please Select...14" 15" 16" 17" 18"
Synthetic Saddle made from durable material with new sure-grip seat and leg panels. Rhinegold Stretch Fleece Rug, Maximum Moisture Management. Material Disperses Sweat Over A Greater Area To Ensure Faster Drying. Stretch Fit For Ease Of Wearing And Anti-Static Finish. BREATHABLE 600 DENIER OUTER 300 gsm polyfill with anti rub lining. 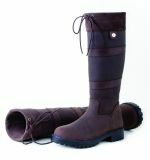 Size : Please Select...6'3" 6'6" 6'9"
Set of 4 travel boots, velcor fastening and nylon lined. Extra strengthened strike pad at heel. Extra wide velcro for quick and easy use. Colour and Size : Please Select...Navy Red Spots 3'6" Navy Red Spots 3'9" Navy Red Spots 4' Navy Red Spots 4'3" Red Navy Spots 3'6" Red Navy Spots 3'9" Red Navy Spots 4' Red Navy Spots 4'3"
600 Denier Ripstop Waterproof outer, fully cotton lined with no polyfill. 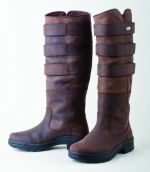 Size : Please Select...4'6" 5'0" 5'3" 5'6" 6'0" 6'3" 6'6" 7'0"
Waxy suede boot with three velcro straps all around for adjustment with soft leather insert. Adjusts to fit all widths of leg. 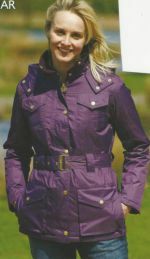 Waterproof 600Denier Outer With Soft Fleece Lining And No Polyfill. Perfect For Mid Season Use.